CONROE, Texas — An MMA fighter facing murder charges who prompted a nine-hour manhunt when he escaped from a prison van said he had "nothing to do with" the deaths of his ex-girlfriend and her friend. During a Thursday video call from a Texas jail, Cedric Marks told TV station KPRC2 that he did not kill Jenna Scott or her friend Michael Swearingin. The pair had been missing from their Texas home for more than a week when their bodies were found in a shallow grave in Clearview, Oklahoma, on Jan. 15. "I can only imagine what's going on with their family and I am so sorry for their losses, but I did not and had nothing to do with this," Marks said. Marks was arrested in Michigan last month on a Texas charge alleging he broke into Scott's home on Aug 21. He somehow got free from a private prison van that was bringing him from Michigan to Texas on Sunday, the same day Texas officials issued murder warrants. Authorities recaptured him nine hours later. But Marks, 44, said he "was not trying to escape" from the van that stopped outside a McDonald's near Houston. "I was actually in fear and I was not going anywhere at all," he said. Neither police nor the company that was transporting Marks, Texas Prisoner Transportation Service, have explained how he managed to get loose while wearing leg, hand and belly restraints. Marks declined to discuss his escape with the TV station. The middleweight fighter was found hiding in trash can in a residential neighborhood less than a mile (1.61 kilometers) from the McDonald's. In the interview with KPRC2, Marks also challenged the account of the woman who appears to be the primary witness against him, Maya Maxwell. Maxwell told police that she was there when Marks allegedly killed Scott and Swearingin in a Texas house on Jan. 3, according to an affidavit Temple police filed Tuesday in Bell County District Court. She also said that she was present when their bodies were moved more than 350 miles (563 kilometers) north and buried in Oklahoma, but she did not make clear what role she or Marks played in these actions. Maxwell is being held on a felony charge of tampering with evidence in the Bell County Jail, which does not list an attorney for her. Marks said he believes police forced Maxwell's statements. "I believe that they coerced her and scared her and forced her to say some things, but none of this has involved me," he said. Marks is being held on a more than $1.75 million bond for charges including capital murder. 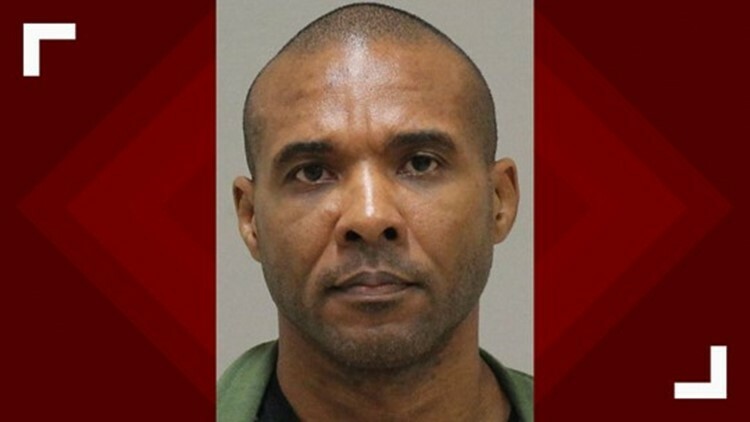 He is also a person of interest in the 2009 disappearance of April Pease, the mother of one of his children, according to police in Bloomington, Minnesota. The couple had been involved in a custody dispute in Washington state when Pease, who had a drug problem, went to live in a Bloomington women's shelter because she said she was afraid of Marks, according to court documents.